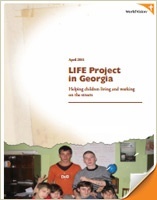 Thank you for your support of our Child Protection projects. 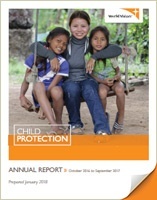 Through your partnership, children around the world who are vulnerable to violence are being protected from grave abuse and exploitation. 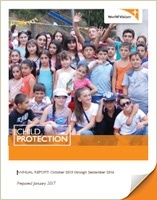 1,270,558 people, including 656,915 children, have benefited from our Child Protection projects since they began. 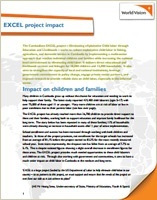 These numbers include beneficiaries from our Honduras project, which was not summarized in this report, and other Child Protection projects that have already closed. In FY18, 149,649 people benefited. In the past year, our projects empowered children to protect themselves through life skills education, training, and peer support groups. We helped vulnerable children to enroll and remain in school by reducing the financial strain on families. As children gained leadership skills, they became advocates for preventing the abuse of children. 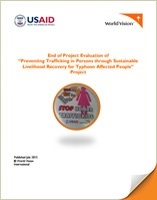 The final evaluation for the USAID-funded Preventing Trafficking in Persons through Sustainable Livelihood Recovery project in the Philippines found positive impact. Our ongoing USDOL-funded project focuses on reducing exploitative child labor in fishing, agriculture, and domestic service in Cambodia through educational and livelihoods services for 28,000 children and 14,000 households. In its first 3 years of implementation, it has been successful at increasing enrollment, reducing the dropout rate, and influencing national level policy. Child friendly spaces are a widely used approach World Vision uses to protect children and provide psychosocial support in emergency situations. 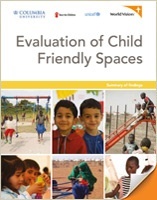 World Vision and Columbia University, working with Save the Children, UNICEF, and others, engaged in a 3-year collaborative project to document the outcomes and impacts of child friendly spaces and develop capacity for rigorous evaluation. 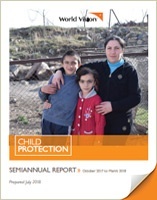 We found that this approach has the potential for positive impact on the lives of children and their families, particularly with regard to psychosocial well-being and protection. Read more findings in the report. 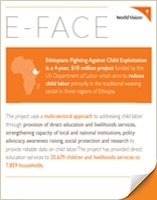 World Vision just completed the Ethiopians Fighting Against Child Exploitation (E-FACE) project, funded by the United States Department of Labor, to provide support to the country in addressing child labor. The primary focus centers on education aimed at sustainably reducing the number of children aged 5-17 years old engaged in and at risk of child labor in the weaving, agricultural, and other sectors in Gamo Gofa, Wolaita, and Addis Ababa. The project addressed the needs of over 20,000 children at-risk of and engaged in child labor with education services and over 7,000 households who have children at-risk of or engaged in child labor with better access to profitable markets and credit. Notably, the percent of E-FACE children involved in child labor decreased from 85% to 1.4% over three years, and the enrollment rate of these children increased from 64% to 95.1% over the same time period. This infographic highlights key impact over the life of the project.